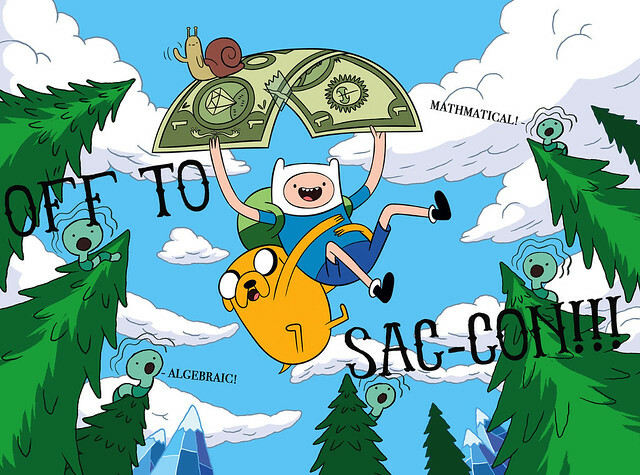 Once Upon a Smorgasbord is going to Sac-Con! On my “Happy New Year and Whatnot” post from December I compiled a list of all the things I hope to achieve in 2013. One thing I mentioned was that I hoped to sell my jewelry from my Etsy store Once Upon a Smorgadbord at conventions and that I was on a waiting list for a show in March. Sooo… I was informed a few days ago that there was a last minute cancellation from a vendor, thus I. AM. IN. WOOOOP!!! I will be at Sac-Con in Sacramento, CA this Sunday (the 3rd). If you happen to be going, please stop by and say hi! Since John DiMaggio (the voice of Bender from Futurama and Jake the Dog from Adventure Time) is going to be there I’m working on some special Adventure Time pieces.